Want a more convenient way to listen? Subscribe on iTunes or Google. GarageBand is a free DAW (digital audio workstation) if you have a Mac. 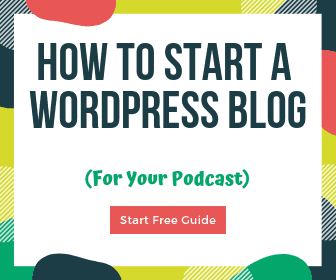 This is a great choice for first-time and even experienced podcasters. You can easily create separate tracks for music, intros and outros, ad spots, and more. Then you can fade them in and out as needed, move them around, adjust levels, you name it. For each track, you can enable various plug-ins like compression, noise gates, EQ, and more. For many people, this will do more than enough. Logic Pro is a full-featured music production and audio editing program. The main reason I recommend it for podcasters is because the interface matches GarageBand and it’s very easy to upgrade. Even your GarageBand files will open seamlessly in Logic. You also will have to enable Advanced Tools (it’s just a simple checkbox in the settings) to get the full suite of features. This lets you upgrade without getting overwhelmed. The ability to link to the Logic Remote App for iPhone or iPad is really cool as well. The cost for Logic Pro is a one-time purchase of $200. Adobe Audition started out as Cool Edit Pro but was acquired by Adobe back in 2003. It is part of the Creative Cloud suite, so if you already have a subscription to the full suite, you have access. You can also get it for $20/month separately. It is designed for podcast production and editing and has advanced tools just for that. There are a number of noise-reduction capabilities, advanced compression and EQ, and a ton more. One feature I love is batch processing, where you can apply various effects to one file, save it, then apply those same effects to a “batch” of other files. This saves a ton of time. I highly recommend Audition for podcasting – and there are a ton of easy-to-follow tutorials online to help you get started. P.S. You can also get the full Creative Cloud Suite on Amazon here. Audacity is a free cross-platform audio editor. 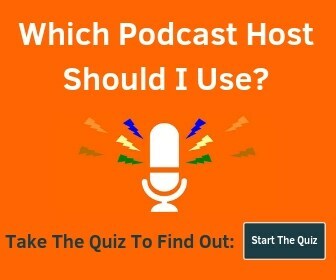 It’s commonly used for podcasting and has powerful features. One of the downsides is that it can be confusing to use when first getting started, but once you get the hang of it, it’s great. Some of the useful Audacity features include Sync-Lock, Truncate Silence, Silence Finder, and Silence. But there are a ton more including saveable EQ, fading, import and export options, and editing and saving chains of effects. It is regularly updated and should work all the latest versions of macOS and Windows. Hindenburg has several different audio editing programs, with Journalist being their entry-level offering for $95. It is designed for radio broadcasters and podcasters with a higher production value. If you have a bunch of different clips or interviews that you need to piece together, this might be a great choice. There is automated levels, loudness, EQ, and a unique clipboard feature for staying organized. It also integrates with certain podcast hosting providers. There is also Hindenburg Pro that has a built in Skype call recorder, among other upgrades. While the recording and editing software options above are where I would start, there are many more options that will work. Certain Mackie and Behringer mixers come with tracktion, PreSonus audio interfaces come with StudioOne 3 Artist, Steinberg interfaces come with Cubase AI & LE, and I’m sure there are other similar combos. If you have one of these, they will work just fine for podcast production, although there might be a higher learning curve. After you record and edit your podcast episode, you need a place to put it so you can make it an official podcast. My favorite podcast host is Buzzsprout because they have a really easy to use platform, plus some additional sharing features that look great and save a ton of time. When you follow this link, Buzzsprout will give you a $20 Amazon gift card after you pay for your plan. Check it out! Ecamm Call Recorder is the best option for Mac. Pamela is a popular choice for Windows. Auphonic is a magic piece of software that does a ton. It will level your audio, make it the correct volume for podcasting, add ID3 tags, export to YouTube, and a ton more. I love that you can create presets, making it super fast to use after you get it set up. Music Radio Creative is an amazing website that creates intros, outros, jingles, and more. You can easily preview different voices and you will get extremely high-quality voice-overs to make your podcast sound much more professional. Start at the Podcast section here. Another important piece of your podcasting workflow is to get transcriptions. This can help with SEO, but also gives people a way to enjoy your show in places where they can’t listen. I highly recommend Scribie – they’re fast, have multiple versions of English (US, UK, etc. ), and everything is easily accomplished from their web-based dashboard. They’re reasonably priced at $0.75 / minute. Ringr is a paid option when you’re ready to graduate from lower-quality Skype calls. It records both ends of the conversation locally, so you don’t have to worry about losing an important interview. Check out more remote interview recording options here. What do you use? Am I missing your favorite? just checked the download and it was puff. Like how did you create the template. what a tease. and I gace you my email for this. will unsubscribe on the first junk mail you send. Thanks for the feedback Bill. The idea is to offer a downloadable resource for those that want it.